The city's residents can be proud of what they did for a democratic election. 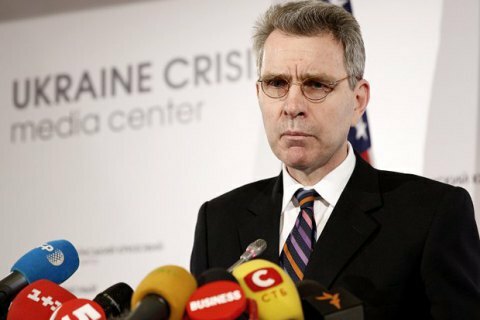 US ambassador to Ukraine Geoffrey Pyatt has said at a meeting with Mariupol mayor Vadym Boychenko that history will record that this is the city where the Novorossiya project was stopped dead, according to the US embassy's press release. "I think Mariupol is already the most important symbol of the resilience and unity of Ukrainian Donbas. I think history will record that this is the city where the Novorossiya project was stopped dead, and it should also be the city which shows to all the people of Donbas the advantages that come with peace, unity and stability," he said. He said that all the people of Mariupol should be very proud of what you accomplished in achieving an OSCE-standard democratic election last December. On 30 January 2015, the Mariupol city council recognized Russia as the aggressor country for the second time.